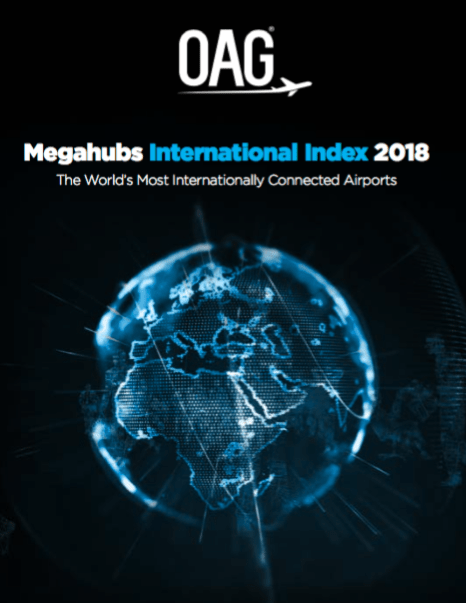 The OAG Megahubs International Index 2018 reveals the 50 most internationally connected airports in the world. 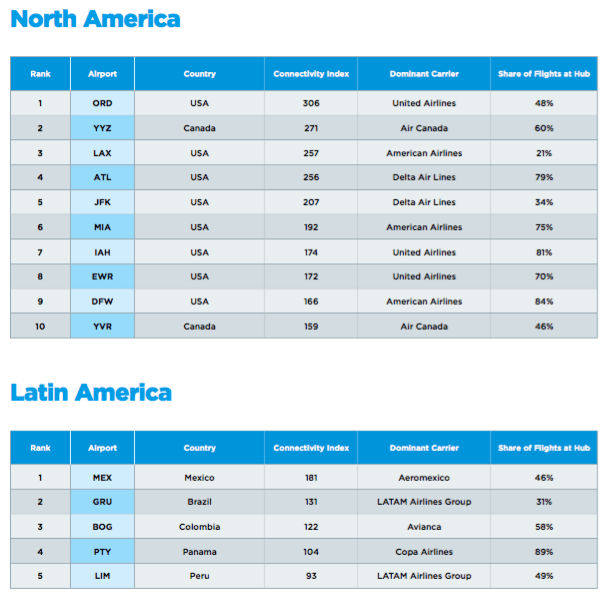 The index is generated by comparing the number of scheduled connections to and from international flights with the number of destinations served from the airport. The Megahubs International Index harnesses the world’s most comprehensive schedules database to dynamically build connections through a dedicated analytics platform, Connections Analyser, and is further enhanced by OAG’s MCT Exception Table. 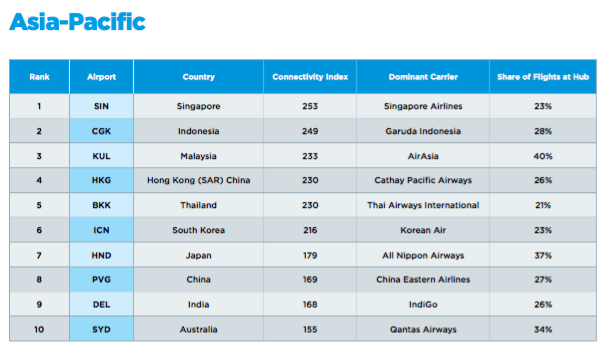 The OAG Megahubs International Index 2018 presents connectivity data as a series of tables based on regional location and airline type. 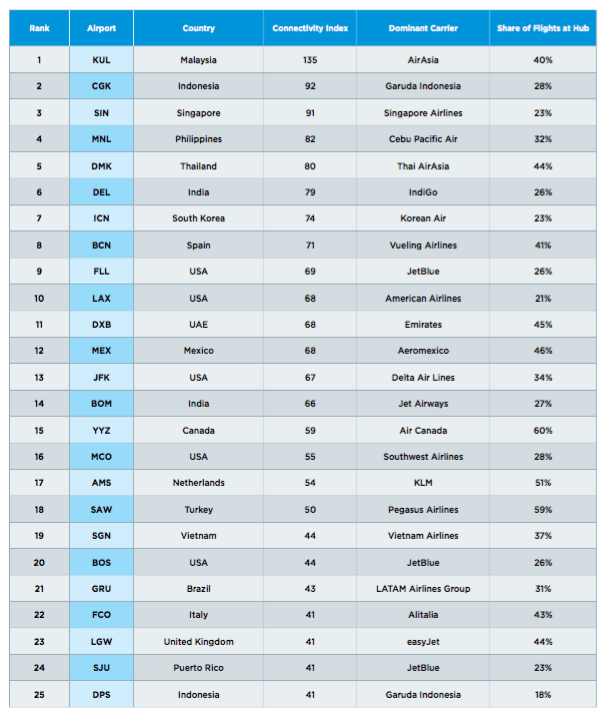 This year the index includes the dominant carrier at each hub and the share of flights operated by that carrier. For the full report from OAG – click here. 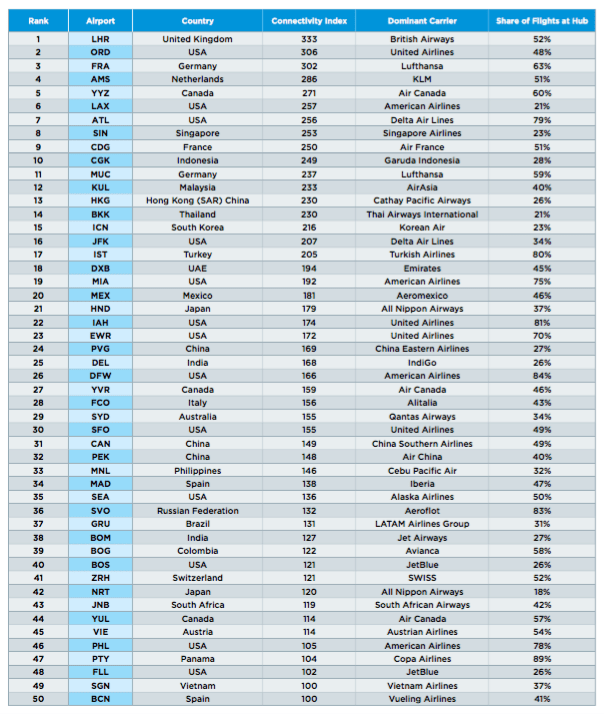 The top 50 International Megahubs (pictured below) are those airports with the highest ratio of possible scheduled international connections to the number of destinations served by the airport. Key highlights and comments on the list above can be found on the full report. 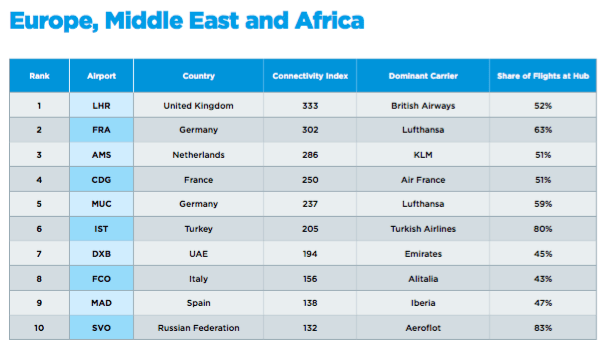 The top 25 Megahubs for low-cost connections (pictured below) include the same or different low-cost carriers.